Food Industry Oils Handbook from C.H.I.P.S. 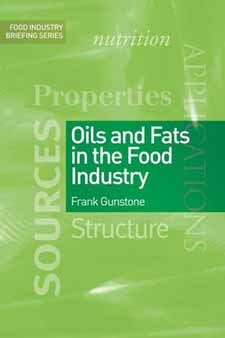 Oils and Fats in the Food Industry provides a concise and easy-to-use reference on the nature of oils and fats for those working in the food industry. Written in a style that makes the concepts and information contained easily accessible, and using a minimum of chemical structures, the nature and composition of the constituents of oils and fats are explained. The major sources of food lipids (vegetable and animal fats) are outlined, along with their physical characteristics.